The Crimson Cape is LIVE! Several months ago, I auditioned for a role at Pendant Audio, and even though I’d never done anything on their radar, I was cast. Three days ago, the episode I was in – Episode 55 of their anthology series, Seminar, went live. 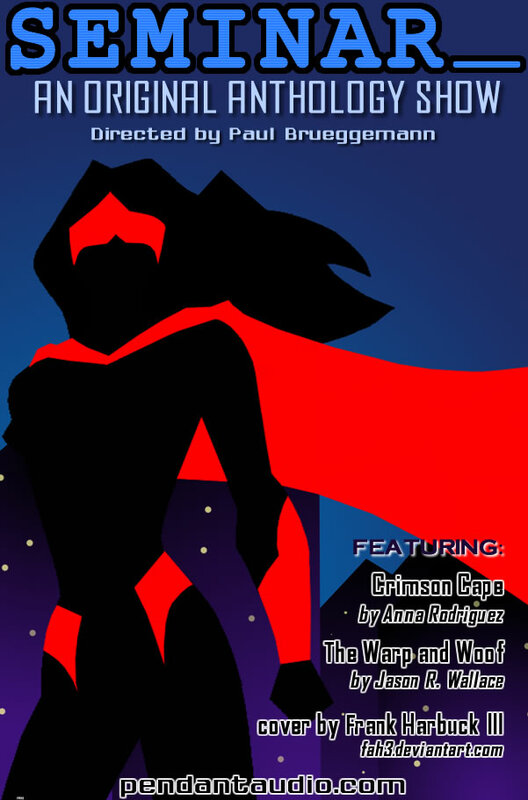 My section: The Crimson Cape starts around 17 minutes in, but you should totally listen to the whole thing because it’s awesome.